In an instant a life is changed, forever. Not just for you but your entire family. Brain injury is the number one killer and disabler of children and adults under the age of 45. In British Columbia alone, “…between 21 and 38 individuals sustain brain injury each day…” -Health Canada, 2007. 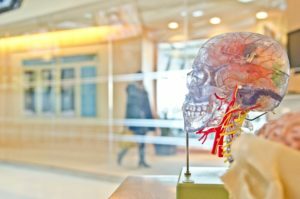 In the Learn module of the website you can explore information about the various stages of a brain injury, from healthy brain function, to the different types of injuries that can occur and about the path of recovery. Our educational resources include facts and suggested best practices, videos and links to other online resources. 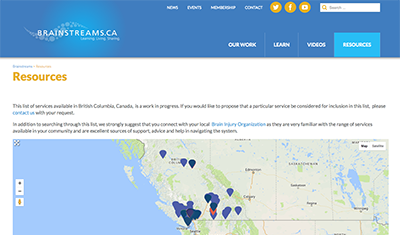 The information found on our site is intended to serve brain injury survivors, their family and friends, as well as healthcare practitioners. Use our website as an educational guide. It is not a substitute for medical advice, diagnosis or treatment. We encourage those recovering from a brain injury to connect with their local brain injury organization in order to get the support and services they are seeking for themselves as well as their family and friends. We have an excellent Resources Page, searchable by location, which you can explore here.